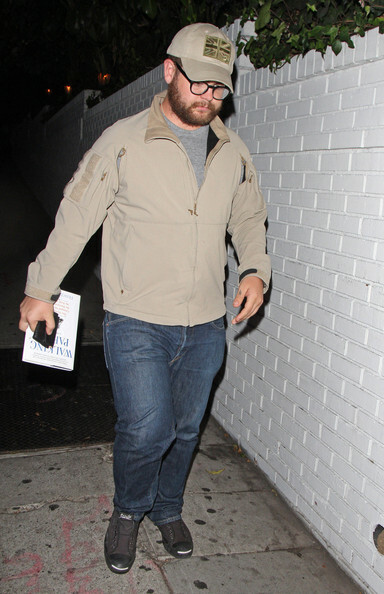 Jack Osbourne seen leaving from the Chateau Marmont in Hollywood carrying the book 'Walking Papers' by author Francesco Clark which is autobiography and inspiring story about a mans struggle when becoming paralyzed and dealing with chronic illness. Jack has recently spoken out about being diagnosed with the multiple sclerosis. Jack Osbourne showed pride for his country with a uniquely distressed union jack hat. Keeping it casual, Jack Osbourne left his denim and zip-up combo laid-back with canvas slip-on sneaks.